Polar bears, caribou, and breathtakingly pristine wilderness are some of the features that define the Alaskan National Wildlife Refuge. Underneath this beautiful surface, also lies billions of barrels of untapped oil. Oil companies, aided by the Trump administration, have been given the greenlight to start drilling in this protected region, at a huge potential cost to the environment. In a world fast changing due to preventable human-induced climate change, what sort of precedent is the Trump administration setting with this project? The Alaskan National Wildlife Refuge (ANWR) has been a political battleground between environmentalists and (politically backed) oil companies in the United States for decades now. It is a 19.6-million-acre home to diverse ecosystems of polar bears and migratory birds, and is also an important breeding ground for caribou (reindeer). This same area is also estimated to contain anywhere “between 4.3 billion to 11.8 billion barrels of technically recoverable oil”. For perspective, the Eagle Ford Group in Texas — one of the largest oil fields in the USA — contains ‘only’ upto 3 billion barrels of recoverable oil. Even the lower end of the ANWR estimate makes it one of the biggest oil discoveries in North America. If tapped into, the ANWR’s oil reserves could single-handedly reduce America’s dependence on oil imports, boost soaring oil exports and change the face of its economic policies. On the other hand, industrial drilling will destroy and debilitate the Refuge’s sensitive local ecosystems and communities. As the Trump administration opens up the ANWR to oil companies, another environment that is protected by scant regulation seems set to suffer the most. Created in 1980 through the Alaska National Interest Lands Conservation Act (ANILCA), the area covered by ANWR was initially defined as “protected wilderness”. No developmental activities were allowed. Section 1002 of ANILCA was the starting point for the decades-long controversy that has consumed the region. It demarcated 1.5 million acres on the plain with the largest hydrocarbon potential, now known as the “1002 Area”. It ordered exploratory seismic studies on how drilling would affect local ecosystems to help the American Congress gauge the sensitivity of the region. 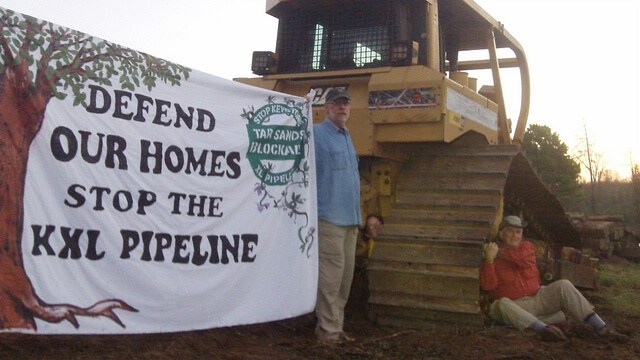 Section 1003 of the same Act mandated that no drilling would take place without explicit Congressional approval. Based on these reports and Section 1003, future governments were left to decide whether “to drill or not to drill” in the face of persistent political lobbying. For example, over the years, Alaskan state politicians and Republicans have had unsuccessful attempts at opening the ANWR to oil drilling. Consistently failing to secure Congressional support, for many years, the ball seemed to be in nature’s court. As no one was allowed to explore the 1002 area after the mid-1980s, fresh data on the reserves is limited. Nevertheless, large oil companies from around the world are increasingly interested in conducting new exploratory surveys of these lucratively located oil fields. Compared to the nearby alternatives in the freezing waters of the Arctic Ocean, the ANWR’s oil potential can be found on the shore. This makes drilling relatively easier and cheaper. The potential revenue for oil companies (and those who back them) from drilling in the ANWR could be unprecedented. 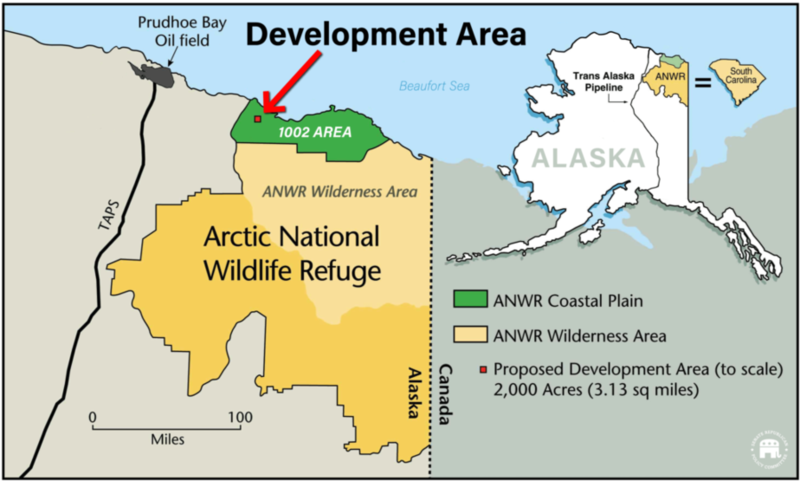 As commercial interest gathers steam, the Refuge’s pristine environment is put at high risk, as any drilling in the ANWR will have detrimental effects on the larger region. 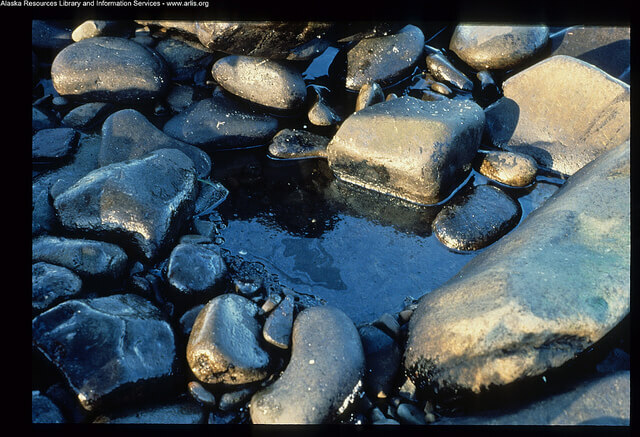 Oil drilling brings an increased risk of environmental disasters like oil spills. The fallout from icebreaking ships and disturbances to local shores are additional threats to the Arctic ecosystem. The risks posed by oil spills multiply in the Arctic region because of the extreme weather conditions. Its remote location could delay response efforts; besides, most oil spill response mechanisms are ineffective in freezing weather conditions. Since the region has a very simple food web and low species diversity, harming even one species could disrupt the entire food chain of the Arctic ecosystem. Environmentalists are keeping tabs on these developments because of these severe implications. Apart from setting up oil rigs, a whole infrastructural network of roads and settlements will have to be developed on the mainland to facilitate operations. The ANWR shelters the highest density of polar bear dens in Alaska. This puts the already vulnerable species (declared endangered in 2007) at risk of being chased away from their dens by drilling and increased human activity. Although the polar bear is the poster child for extinction here, 37 species of land mammals, 8 of marine mammals, 42 types of fish, and 200 species of migratory birds are at a high risk too. In the face of industrial development, North America’s largest porcupine caribou herd stands to lose, with survival rates of caribou calves potentially dropping by as much as 8%. 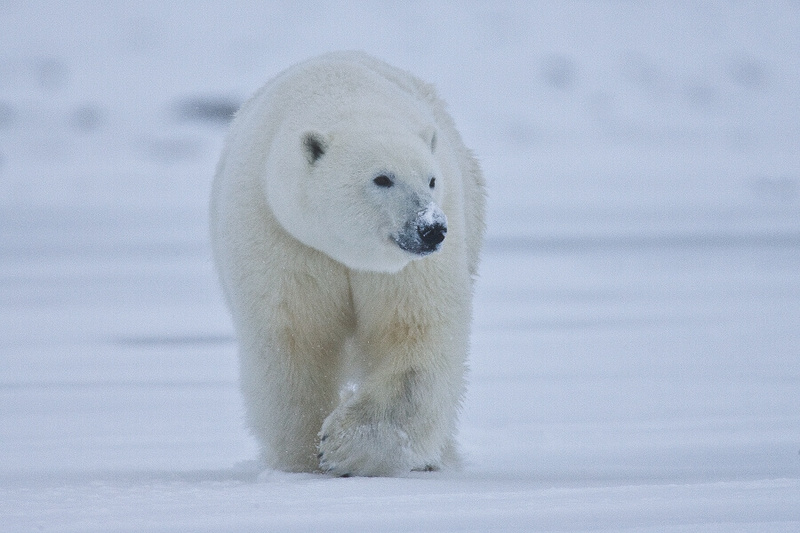 The endangered status of the polar bear has made it difficult for oil companies to access the 1002 Area. Some say that the move to add the species to the endangered list might have been less about conservation and more about indirectly creating a regulatory policy in an environment hostile to climate change. “The goal is to implement regulatory controls on energy use that global warming alarmists have failed to convince Congress to enact,” said Myron Ebell, Director of Global Warming Policy at the Competitive Enterprise Institute. Yet, because global oil prices are still low (averaging $50 USD per barrel) and the geological shifts in the ANWR’s oil reserves are unknown (post-1980), revenue-based justifications of such huge investments in the ANWR remain suspect. The Republican party has been unabashed in its push to open up the Refuge to drilling. With Trump in power, successful strides towards this end have been made. In 2017, an appendage to a budget reconciliation bill succeeded in authorizing oil drilling in the 1002 area. In August this year, the Trump administration approved a seismic testing plan, disregarding objections raised by government wildlife experts. Trump said that he initially “didn’t really care about it [the ANWR]” and later realised its potential based on what ‘others’ (friends in the world of ‘business’ and ‘oil’) told him. The Congressional Budget Office projected a revenue of $1.1 billion each for the Alaskan and Federal governments in the first decade of drilling the ANWR reserves. Although support for drilling has been couched in terms of supporting international demand for oil (the US has been exporting record amounts of crude oil in recent times), the revenue would also help Alaska balance its widening fiscal deficit brought about by low oil prices in 2015. Reports state that Alaskan politicians are eager to lease off chunks of the reserve to oil companies well before the 2020 Presidential Election that could see the Democrats return to power. Importantly, as Republicans push for increased tax cuts (to the tune of $1.5 trillion dollars), arguments stating that the revenue from the ANWR drilling would bolster federal coffers might be concealing more fundamental shifts in the US’s fiscal policy. Independent studies tellingly note that federal reserves may increase by only $37.5 million as a result of the project. 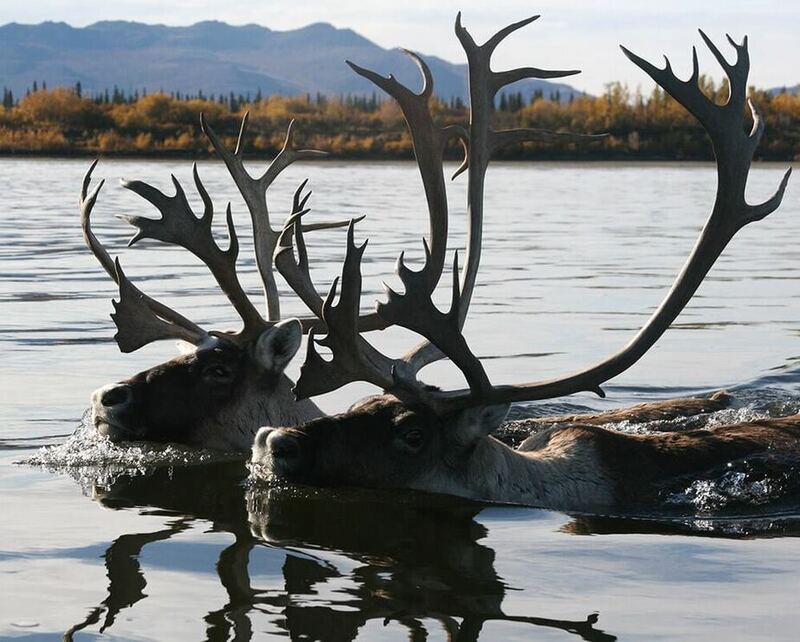 Native Alaskan communities like the Gwich’in that depend on caribou as part of their subsistence heritage will be affected too. The Gwich’in view developments on this protected land to be a violation of their human rights alongside damaging their sacred traditions. Even if the Trump administration promises to use ‘modern techniques’ to minimize environmental destruction while drilling, these developments point towards the administration’s general indifference towards fundamental indigenous rights to culture and land. This fits into, the same administration’s disdain of human-induced global warming as a pressing issue. Such attitudes paint a worrying picture for the future of sensitive global environments: neither communities nor conservation are top priorities. The current dispensation’s attitudes towards developing the ANWR (along shaky lines of economic reasoning) only legitimize profiting off of environmental destruction, as opposed to preventing it. These policies don’t stop at the ANWR. In January 2018, the Trump administration drafted a proposal that would open up nearly all of the US coastal shores to oil and gas drilling, reversing a ban on drilling implemented during the second term of the Obama administration. The potential externalities of such proposals are self-evident, and their impact on the rest of the interlinked world is assured. As countries across the world (in line with this precedent) continue to capitalize upon climate change despite the warnings, the prospects of the ANWR, until now one of the largest preserved tracts of wilderness in North America, remain bleak. 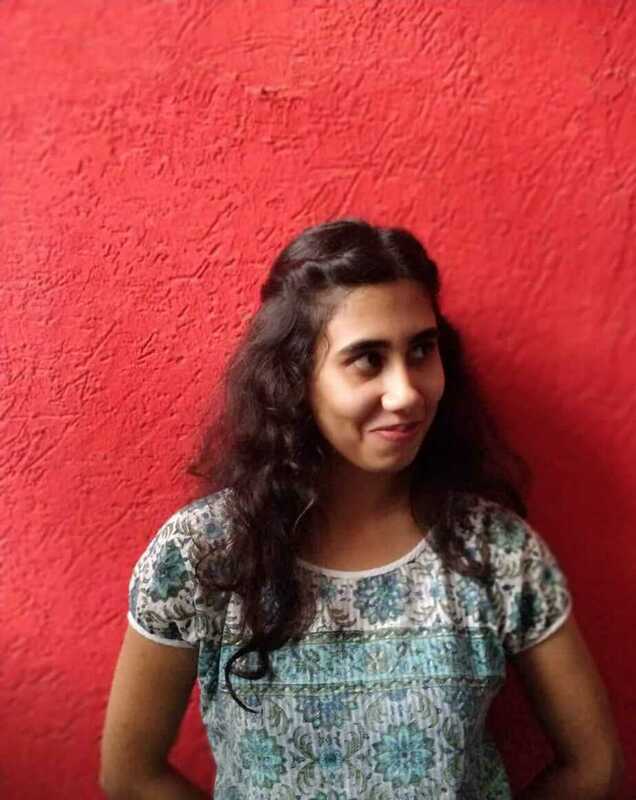 Previous articleThe Letter of the Law: For the People and Of the People? Next article’tis the Season! Should Judges Work More and Holiday Less?